Whether you need a diagnostic procedure, want a sterilization surgery, or need to have an abnormal growth removed, you want to ensure you’re in expert hands. As innovative experts in minimally-invasive gynecologic surgeries, Shawn Osterholt, MD, FACOG, Richard McNeely, DO, FACOOG, and Curtis Orr, MD, FACOG can help. The team at OB/GYN LTD. in Springfield, Ohio cares for you every step of the way. You can book your exam by calling the clinic or by using the online scheduler. Which types of surgery does an OB/GYN perform? Your OB/GYN is also your go-to person for permanent birth control surgery, known as tubal ligation. They can even perform a hysterectomy if you’re menopausal or have certain health conditions. What is the recovery like after a gynecological surgery? Because the leading practitioners at OB/GYN Ltd have extensive training in minimally-invasive techniques, including da Vinci® robotic surgery, you can feel confident your recovery is going to be as quick and painless as possible. The team uses a laparoscope or da Vinci robotic instruments for almost all gynecological surgeries, including hysterectomies. They perform most procedures in the office. With a laparoscopy, you’re only going to have a few small incisions. In most cases, your doctor seals the incisions with surgical glue or dissolvable stitches. With minor diagnostic surgeries, it’s normal to have some pain or discomfort for a day or two afterward. Most women tolerate discomfort and uncomfortable side effects well, but your dedicated OB/GYN can also provide pain medications if needed. Usually, women need to fast and take nothing by mouth the night before surgery. If you’re having an extensive type of procedure, such as a tumor removal or hysterectomy, you might also need a bowel prep to clear your intestinal tract the day before. Plan on getting your prescriptions filled before your procedure so that you have them at home. It’s also helpful to get ahead on work and housework and stock up on groceries. The more you do to organize your work and personal life, the easier it’s going to be for you to relax and recuperate after surgery. 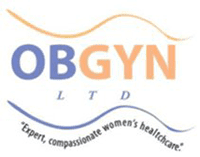 Schedule your exam at OB/GYN LTD. by calling the clinic or using the online booking feature.